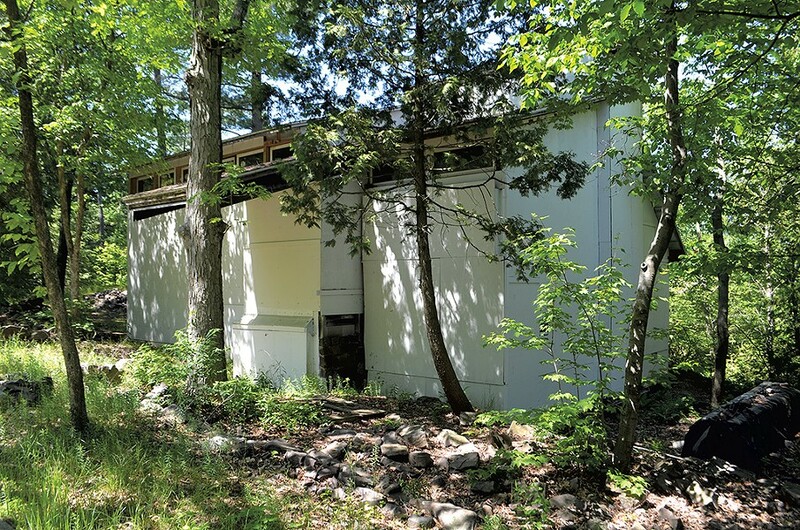 A home that's been under construction for nearly five decades has new owners. 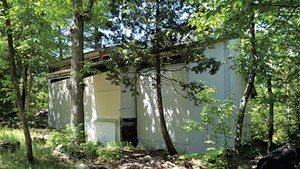 The long-unfinished structure at 97 Dunder Road has been a source of controversy. Some consider it an eyesore in a well-kept South End neighborhood. Tom Walsh purchased the property from the current owners, Don and Carroll Albertson, on November 2 for $350,000, according to city records. His friend Eric Flegenheimer, who is also on the sales deed, helped with the sale and closing, Walsh said. 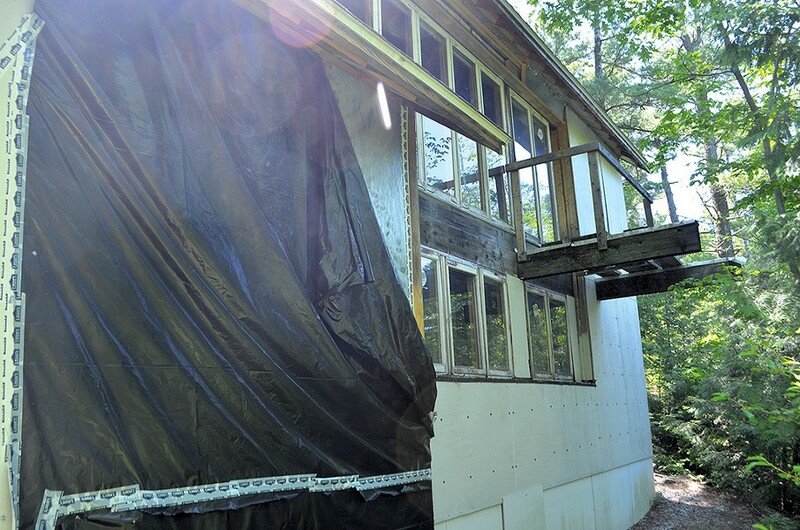 Walsh, who lives in Charlotte, filed for city permits to renovate the home in early November and said he plans to move in with his family next spring. "It's kind of uneventful," Walsh said. "I bought it and we're going to finish it, and then we're going to live in it." The house has been half finished for decades. Albertson, an architect, bought the parcel in 1966 and has been working on the house since 1969. In 2003, his building was deemed vacant by the city. Since 2006, Seven Days reported in June, Albertson has paid more than $20,000 in fees to the city. In May, city officials filed a complaint against Albertson in environmental court for zoning violations. The court told Albertson he had nine months to sell the home, he told Seven Days. "It’s definitely a good thing to have closed in our files because it’s one of the ones that’s been open since I was appointed the director in 2010," said city code enforcement head Bill Ward. "But obviously it’s been going on for decades, so it definitely feels good that we’re moving past that. There actually should be some closure now." Walsh serves as a judge at the Burlington-based Vermont environmental court, where the 97 Dunder Road case was litigated. But Walsh said he reached out to Albertson through a real estate broker nearly a year before the complaint was filed and said he was not involved in Albertson's case. "That would have been inappropriate," Walsh said. State court administrator Patricia Gabel agreed that there are no ethical questions surrounding Walsh's purchase of the property. Walsh didn't hear the legal dispute and had no knowledge of it that wasn't public, Gabel said. After the case was settled, Walsh contacted Albertson again in September. Walsh said he used to live in the neighborhood and had his eye on the property for some time. After haggling over the price, they reached a deal. "It's a nice lot, they had some nice designs," Walsh said. "I'm looking forward to living there." He said he plans to keep the frame of the house and renovate the inside. Albertson said he always intended to finish the building; he envisioned a net-zero energy dream home. But his age caught up to him, he said; he's 84, his wife is 78. "We were just at a point where we did not have the stamina," he said. "It’s a really good dream opportunity for the buyer I think. I dearly hope it will be as successful for him as I believe it would have been for us. "I just wanted the building, if you will, to find a good home because we put so much personal work into it," Albertson said. "As far as I can tell, that’s what happened."